Before all the streamers and balloons comes a bit of planning. And planning a party for your little ones is like a road trip – getting there is half the fun. Deciding on the theme, decorations, and activities makes the days leading to the event like part of the celebration itself. 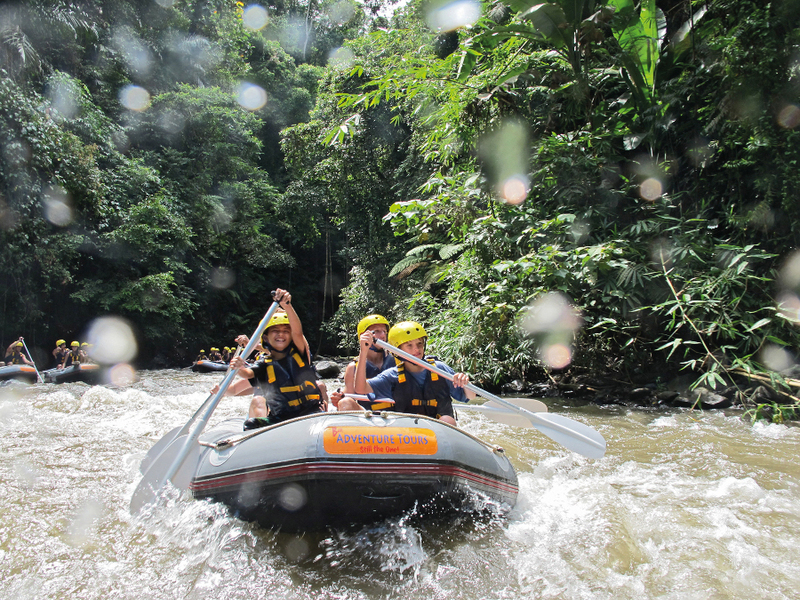 But if you think there’s never enough time to arrange a kid’s party, for there always seems so much to do when trying to arrange one, then Bali has all the help you need. Just remember, it doesn’t really matter whether you choose to go completely wild, or opt for a small, intimate celebration as long as the kids are made to feel special. The party begins with the planning stage. The budget should be decided so that it can be appropriately distributed amongst all aspects of the party. It is always better to write down the guest list to be precise. The venue should be convenient for most of the guests and the timing should be clearly mentioned in the invites. If you are looking for a beachfront venue, The Pirates Bay offers an ideal environment to throw kids’ parties. 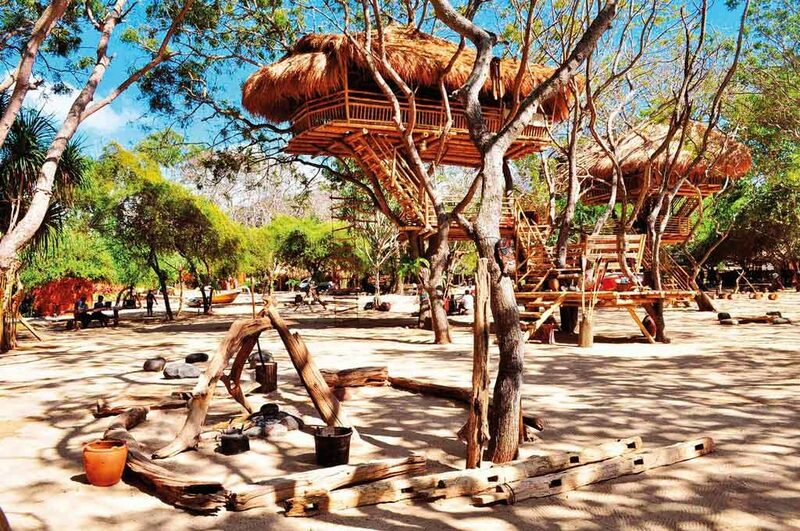 Built upon the white sands of Nusa Dua Beach, the place is creatively set up with wooden tree houses where your kiddos can freely climb up to the bamboo decks. Carrying “Pirate-for-a-day” concept, the kids will be directed to find the hidden treasure by solving clues and completing challenges. The clues are presented in images or written in symbols, easy for juniors to understand. All the game properties will be provided by the venue, including Pirate Bandana, Pirate Treasure, Pirate Birthday Cap, Pirate Certificate, a guide who will assist during the Treasure Hunt Game, and even an authentic-looking pirate ship. This birthday activity will definitely leave a solid impression on your little ones. While Pirates Bay is more about outdoor activity, you can go to Peek A Boo for indoor birthday parties. 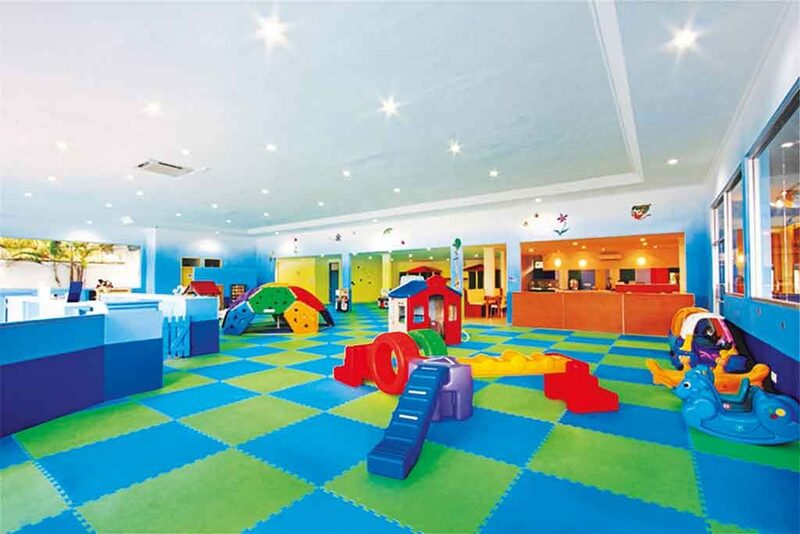 With over 1,000 square metres, this venue features a soft playhouse,ball pit, creative corner, interactive toys, educational books, little car rides, play kitchens and many more – it definitely will make your kids’ Birthday extra special. Peek A Boo offers parents a stress-free and hassle-free party that is affordable for today’s busy parents. Please note private parties are available only from 6 PM onwards. The next item on your birthday checklist is how well the place has been decorated. Depending on whether your kid is a boy or a girl, all the decorations, colours and ambience has to be arranged with that in mind. It can be an indoor party at home, a rented convention hall, a restaurant or an outdoor party in a garden or park. In either case, make sure that a lot of birthday specific decoratives are used. Lots of big, colourful balloons are quintessential. Use honeycomb balls, swirly decorations, streamers and garlands, bright lanterns, banners, tissue pompons, khoi bags and party poppers. Hand out funny cartoon blowouts or themed party trumpets to the kids to blow incessantly and have fun. When it comes to decorating your party space, Bali Kids Party is supremely talented and capable in designing and creating magical party spaces for all occasions. They hand-craft all the decorations themselves, making them anew for every party, creating a special, tailor-made environment which beautifully transforms a party space into a magical wonderland! 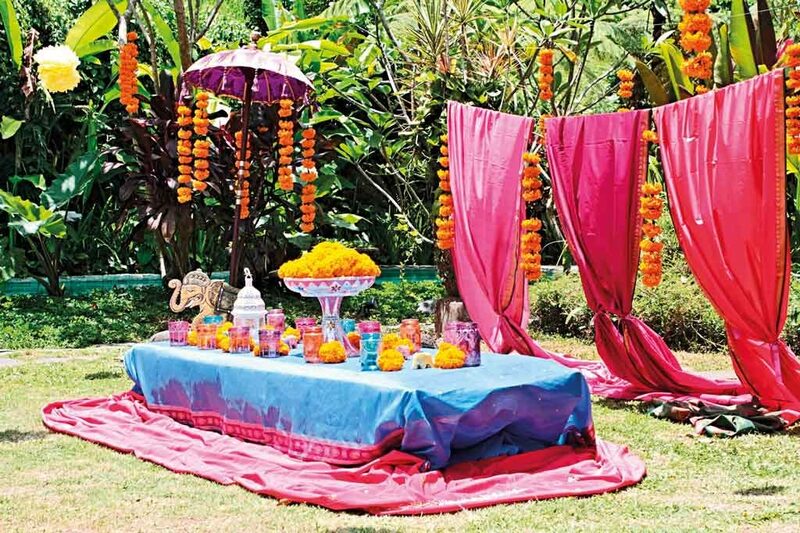 Whether it’s an Indian theme, a Minion party, Mexican Paper Flowers or Pirate Party, the event is brought alive by the team’s clever ingenuity. Bali Kids Party can transform your home into a fairy palace, or a sky blue and ivory Frozen castle, pink and purple Tipi Village, or a horse-racing course. They use tasteful, sophisticated and beautiful colours, with an innate understanding of design and a sense of colour which perfectly matches both Western and Indonesian tastes. Kids will love the idea of having a costume party. You can either give out a dress theme in the invites or hand them special party costumes when they arrive. Wizard hats, colourful wigs, headbands, crowns/tiaras, feather boas, party sashes, ties, sunglasses, beards/moustaches, wings, eye masks are some of the accessories you can choose from. Let them keep it on throughout the party where they can enact characters. Fancy dress can never be boring for the kids. Keep lots of games lined up to keep the kids engaged and having fun. Arrange photo sessions for the kids to make funny expressions and faces. Kids love to be given attention. 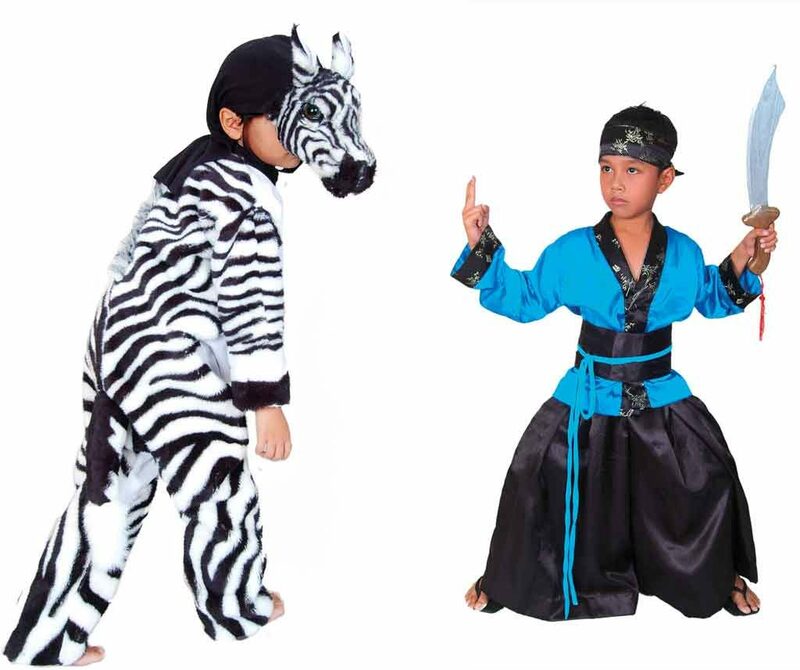 Julia Costumes produce and rent wide selections costumes and accessories for kids’ parties. With more than 8,000 unit costumes in collection, they cover various themes from superheroes, fairy-tale, traditional, Halloween, animals, and characters. Some costume themes are available in tens, making it possible for large groups to wear the same theme. Since they produce most of the costumes, the exclusivity and quality of the fabric, colour and models are guaranteed. Make your party magical and transform your birthday party guests into a pack of tigers, a group of fairy princesses, a cluster of space-faring astronauts, a pack of ferocious lions or a family of cheeky monkeys. Before you start face painting, make sure that the kids do not have any skin allergies or infections. You also need to make sure the face paints are presented on a clean towel and that you have a good supply of water for washing brushes and sponges between faces. Water based face paint is best applied directly onto clean, dry skin. Keep the hair away from the face with a hair band or clips. Always apply the base colour first, using a damp sponge. To achieve a deeper colour, allow the first coat to dry and then apply a second coat. You can have hours of fun sparking creativity and unleashing kids’ wildest dreams, knowing that when party time is over, a quick sweep with a wash cloth and some soap and Voilà, your little princes and princesses are back to normal, with no tears. Almost all children love to have their faces painted, especially at parties where they can share their new identities with their friends in a heightened atmosphere. Bali Kids Party are very popular with their Face Painting services. 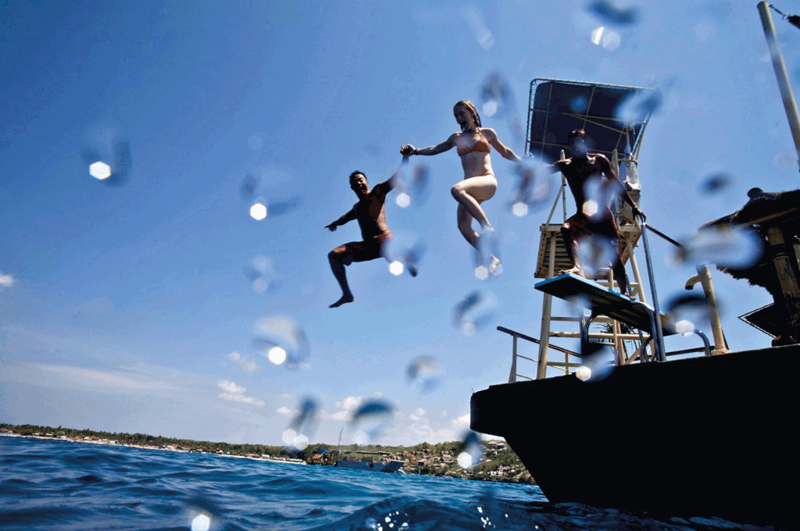 They are always busy with guests to cater special events, such as kids’ birthday, Halloween or Full Moon Parties. They only use European, skin-safe face paint, to ensure that all children are unblemished after you wash away the artwork. 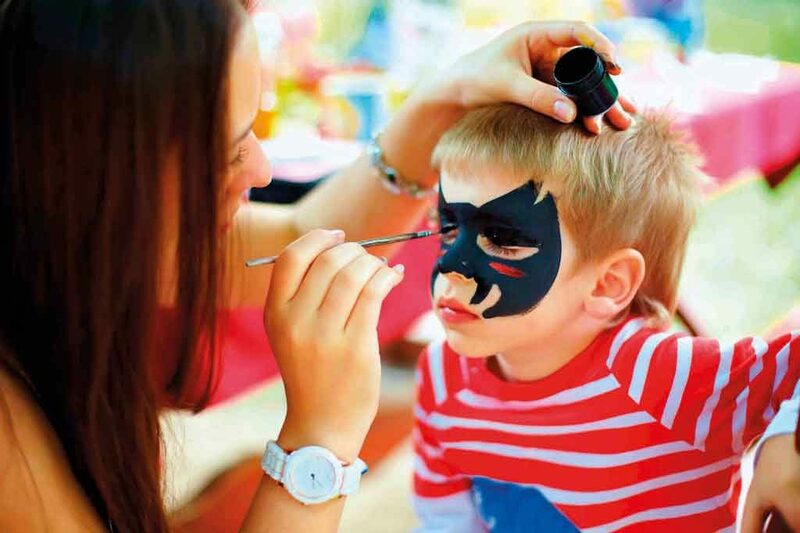 Resorts include Face Painting as one of their kids’ activities or on special events. 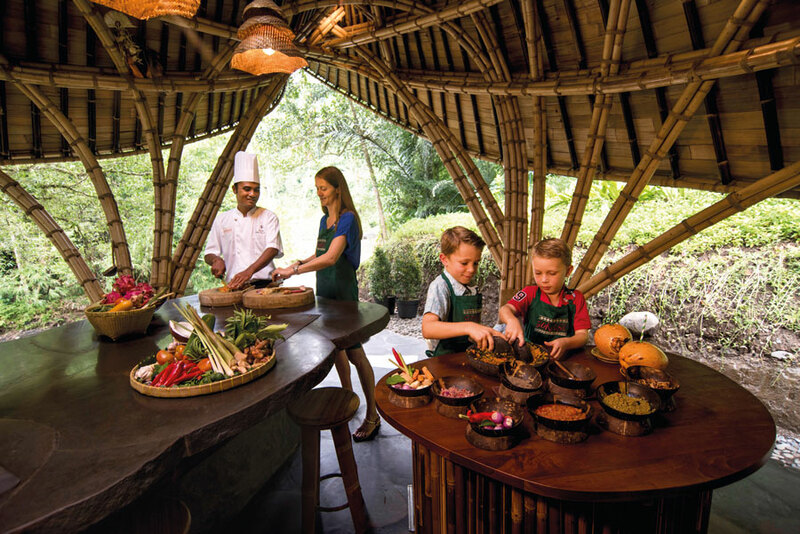 In Anvaya Beach Resort, Face Painting is available on Mondays and Fridays at the Kids Club at 11AM, while Karma Kandara put Face Painting as part of the activities on EasterSunday. The star of a birthday party is the cake. All the guests should enjoy a decent slice of the cake. A cake shortage is a big no-no. The flavour should be the favourite of the birthday kid. 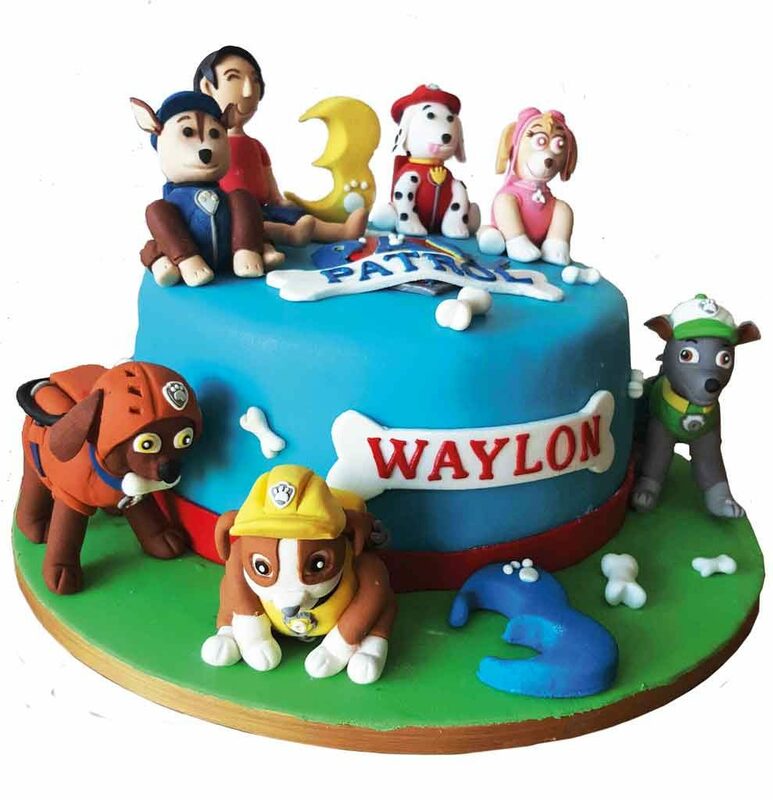 The cakes can be in the shape of cartoon characters, swimming pools, jungles, castles, pirate ships, trains, butterflies and many more. The most popular flavours among kids are the simple ones like vanilla, strawberry, lemon or chocolate. The icing has to be creamy and sweet with lots of small decorations on the top of the cake, made of hard edible sugars which can be picked up and eaten separately. You can either order a huge single cake or go for the multi-tier cake, depending on your kid’s choice and the number of guests. Choose colourful, animated, musical candles or small fire crackers type candles on the cakes to make your kid feel special. For Birthday cake selections, there are a few places to be considered. Delivering excellent cakes since 1994, Bali Bakery birthday cakes come with simple flavours of chocolate mud, vanilla or fruit cake. They may seem common, but they surely are yummy! Price starts at IDR 300,000. Still in the same location, The Harvest’s Chocolate Devils really stands out at kids’ birthday party. This most much beloved cake among kidshas creamy chocolate glazegarnish on top ofit with a combination of chocolate cream and moist chocolate sponge. The cake prices are between IDR 180,000 – IDR 2,440,000, depending on the sizes. If you need a customised, themed-birthday cake, Beecup will make it possible based on your needs and preferences. They guarantee to make the cake from scratch (no premixes), and it takes 5 – 7 days to get a cake ready to deliver. In terms of colouring, they tend not to use colouring whatsoever, but if they must, they only use food colouring. All cake decorationsare edible. As for the price, it depends on lots of factors such as size, flavours, decorations, etcetera. These cakes commonly start from IDR 575,000. Similar with Beecup, for a customized cake, Ixora have various flavours available, and they will run a test to make sure whether or not the flavours you choose will blend perfectly. Their standard for a one-tiered cake is 4 layers, depending on the number of servings or the size, with the thickness of each layer at 3 cm. For requested cakes with higher layers, they will use Styrofoam to give the impression of added height. The price is subject to be discussed later on, depending on the level of difficulty, time consumed and materials. Birthday parties are a very special occasion for a kid. Parents should make the most of their budget and throw a warm and fun-filled birthday bash. With lots of options easily available nowadays, there is absolutely no issue even if you decide not to spend too much. Plan well and execute it with a lot of enthusiasm. Children are forever thankful to their parents for all the birthday parties and these moments are always cherished by both the parents and the kids.